Ownership / Access: Stoclet family, not open to visitors. Notes: The Stoclet Palace (French: Palais Stoclet, Dutch: Stocletpaleis) is a mansion in Brussels, Belgium. 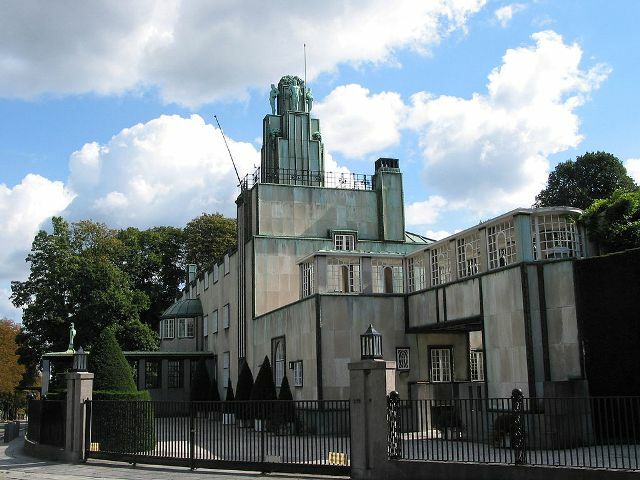 It was built by architect Josef Hoffmann for banker and art lover Adolphe Stoclet between 1905 and 1911 and is located in the Woluwe-Saint-Pierre area of Brussels. Considered Hoffman's masterpiece, the Stoclet's house is one of the most refined and luxurious private houses of the twentieth century. The mansion is still occupied by the Stoclet family and is not open to visitors. It was designated as a world heritage site by UNESCO in June 2009. "Catalog of images of the Stoclet Palace". Picture Library. Royal Institute for the Study and Conservation of Belgium's Artistic Heritage. Retrieved 2009-01-10.